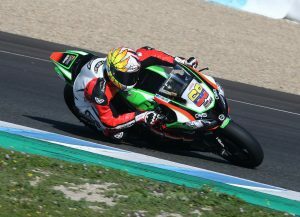 The first bout of 2018 testing is complete for WSB, held at Jerez, as the circus prepares to move to Portimao for another couple of days whizzing round before jetting off to Oz for round one – just a single month away! So find here a lush gallery of snaps from Jerez, by the man that is Kel! Leon Camier is already flying on the Red Bull Ten Kate Honda, using a qualifier to finish with the 4th best time and this still with the Cosworth electronics, due to be swapped out at Portimao bringing them in line with the rest of the grid. Chaz Davies finished 12th on the time sheets, but Chaz never goes for fast times in testing, and he was already behind after missing most of the last test through injury. He’ll be right up there on race day. Jake Gagne, now a full time WSB pilot, put in a great deal of work to to learn, and love, the WSB spec’ Honda. He’ll have his hands full just beating team-mate Camier, mind you. 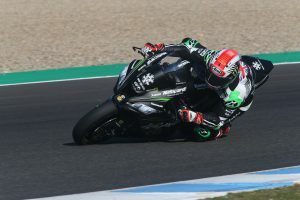 Eugene ‘Norge’ Laverty will be hoping that 2018 is a better year for him and Aprilia, and team boos Shaun Muir has already been ringing the changes. No news on whether Norge’s Biaggi’esque ‘tache will stay this season though! 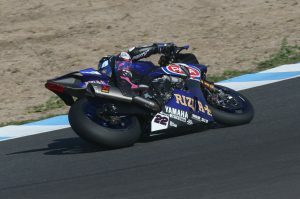 The new rules have given Yamaha, who had already made big strides toward the end of last season, an extra boost. Alex Lowes could be in line for his first win in 2018, though the inter-team battle with MvdM will also be very interesting to watch! A surprise signing in 2017, Marco Melandri has made a great number-two to Davies, almost Dani Pedrosa’like, picking up the podiums and wins if Chaz is off, or off the boil. Podiums are a certainty so long as the Ducati hasn’t been hit too hard by the rules. Triple champ’ Jonny Rea set the second fastest lap, 0.6s off Sykes, without using a qualifying tyre. It’s hard to look past Rea again for the title, but then anything can happen in racing, and often does, right when you think you know exactly how things will roll. 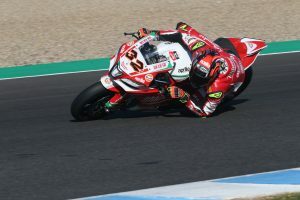 Lorenzo Savadori didn’t perform as many expected him to last year, but then there were issues in the team by all accounts, with staff and machinery, which Muir has now sorted out. always looks good though! Tom Sykes scorched to a MotoGP type lap time on a qualifying tyre, ending the test fastest. 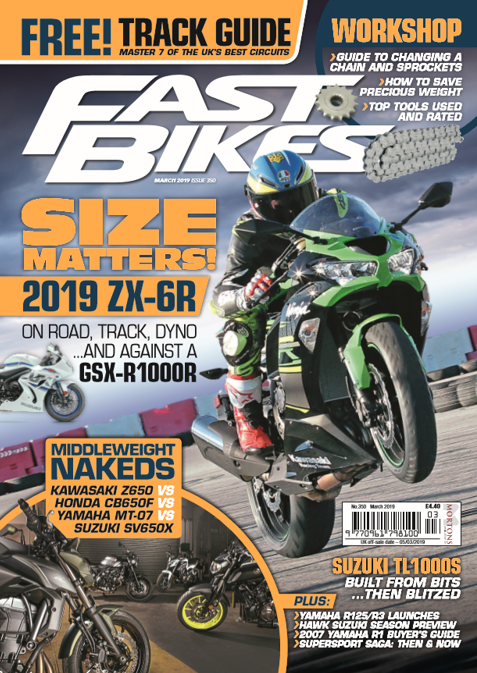 Tom’s finally decided to stop trying to make his ZX-10RR act like his title winning machine and is now concentrating on tailoring himself to the bike and new rules instead. Could be just the ticket for Tom. 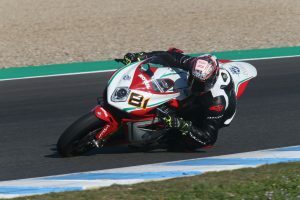 Jordi Torres meanwhile, got to grips with his new steed, the MV Agusta F4 RC, sticking it in seventh place overall, proving there’s life in the old dog yet. As in the MV, not Jordi! 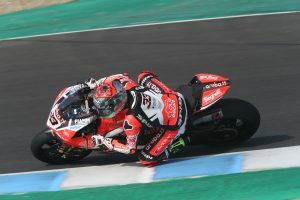 A big year for Michael van der Mark, and another big fight between he and team-mate Lowes no doubt for top bragging rights, and the best chance of a move up to MotoGP. More from WSB when we get it! Previous Post:Taylor Mackenzie Signs For Moto Rapido Ducati BSB!